With the advent of budget Brands and our local brands, we have a surge of entry level phones to choose from in our country. So when you start to look for a budget android phone to buy in a budget under 10,000tk to 14,000tk you’ll find countless option to decide your phone from. That’s why we have hand picked some phones in this price bracket to make your life easier. Why listen to our Suggestions? Well, we have looked through tons of phones to make sure these phones are durable and reliable enough to be your day to day part of your smartphone life. They all have at least 2GB of RAM and 16GB storage to keep you safe from upgrading in in near future. You can look through all the phones in the market and compare their spec sheets to make a decision. But you’ll not regret our recommendations, as each of these phones will serve you well as a daily driver. If you’re a power user then you might have to look elsewhere (Wait for the next Article about the midrange Phones). Logically power users shouldn’t look for phones in this price range. “What’s the best smartphone for your budget?” – don’t worry, We’re here to help you. This phone is a new entry by Symphony mobile. The phone’s specification is unbeatable in it’s price. It’s one of the cheapest phones with a 3GB ram. But the phone has a very low battery capacity. We’ll encourage you to keep a small power bank with you. 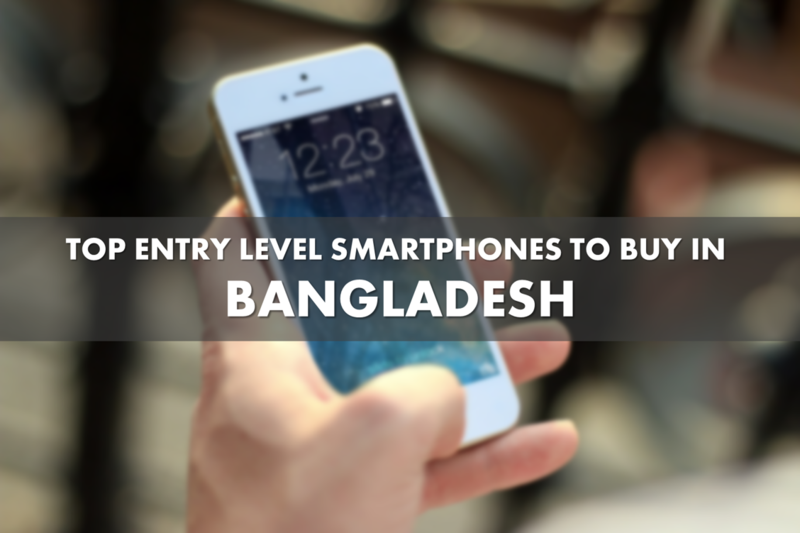 Some of you might feel that you don’t want to buy a Bangladeshi branded phone. For those of you there is another option in Xiaomi Redmi 4A. It is called the budget king by Xiaomi. The phone is no slouch. It has a HD display and Snapdragon 425 chipset with 2GB ram. This is the oldest recommendation in our whole list. That only because it has a very nice FHD screen which is bigger than all the phones mentioned here. The processor is also capable with 2GB of RAM. However the camera and build quality is lacking a bit, which the phone makes up with its bigger display for media consumption. Sometimes we have that person who values the brand a lot over specs and anything else. For those people we have selected one phone from Samsung. This samsung Galaxy J2 Pro is actually a decent gadget with fine pricing and features. Although the device came out in international market in July 2016 Samsung released the phone in Bangladesh 9 months later. You’ll be paying a bit much for the spec to spec compared to other phones in our list. End note: Despite the fact that we have mentioned some very nice phones in our list, there are many other options out there. But we can assure that you’ll enjoy using each of the phones in the list. Let us know if there is any other better alternative to add to the list.